It's not just formal programming that makes Oak Hills the best Christian College in Minnesota. A great on campus college experience must include fun. 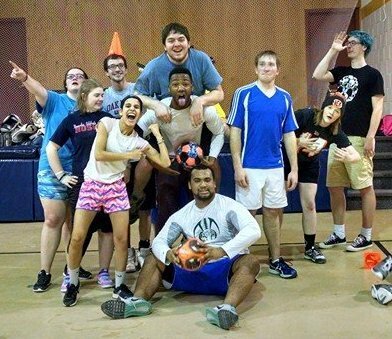 Sports on campus are not just for those who can play volleyball, basketball, or run cross-country. We have some intramural teams as well, for those who love to be active and compete but need a more relaxed atmosphere and something less time-consuming than a full-season team that travels.